Please be informed that Network Bridges installation has been completed on July 12th, 2018. 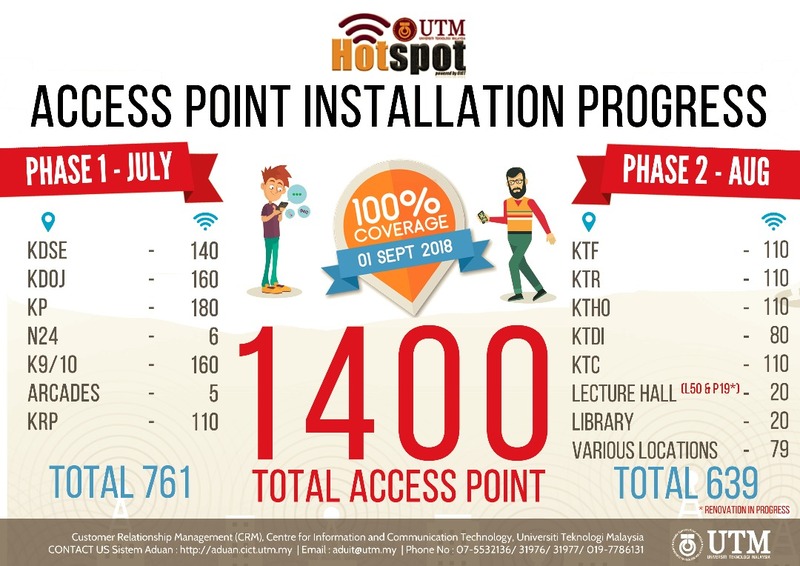 Following this, installation work for Access Points (APs) has resumed on July 15th, 2018. The work is estimated to complete by August 31st, 2018.